Ahava Skincare is a natural skincare company based in Israel on the shores of the Dead Sea. Founded in 1988, Ahava have been researching the beneficial properties of the Dead Sea and producing products for all skin types containing dead sea mineral, Osmoter. Osmoter promises to replenish and rehydrate skin. All of Ahavas products are natural, paraben SLS/SLES free. Aswell as allergy tested for sensitive skin and free from animal testing. Ahava Skincare Time to Hydrate Hydration Cream Mask* is a thick and creamy face mask to be used just 1-2 times per week. I like to apply this to very dry areas of my face and neck and soaking in the bath letting the mask do it’s magic for 20-30 minutes. It can also be used as an overnight treatment. However as a restless sleeper I found this to be a little messy. So far I’ve only used 3-4 times, however I’ve noticed such a difference to the most dry areas of my face. Prior to this trial I had been suffering from dry flaky skin around my nose and upper lip. No idea where it came from, but it was itchy and not so attractive. Using the Hydration Cream Mask has really helped soothe that area and smooth the skin right out. Along with the Hydration Cream Mask I have been trialing the Ahava Skincare Time to Hydrate Active Moisture Gel Cream*. It’s a really nice consistency, between a gel and cream moisturiser. It’s doesn’t hold a heavy scent which is nice as I do hate moisturisers that linger with unpleasant smells. I use this twice daily in the morning and evening. It soaks into my skin well prior to applying makeup, which is something I look for as I’m always in a hurry to get ready for work. I’ve also noticed red blemishes to my skin, especially cheeks have also reduced drastically. A bonus! I’ll admit, I’ve never purchased a cream specifically used for eyes. I know, I know. I am bad. 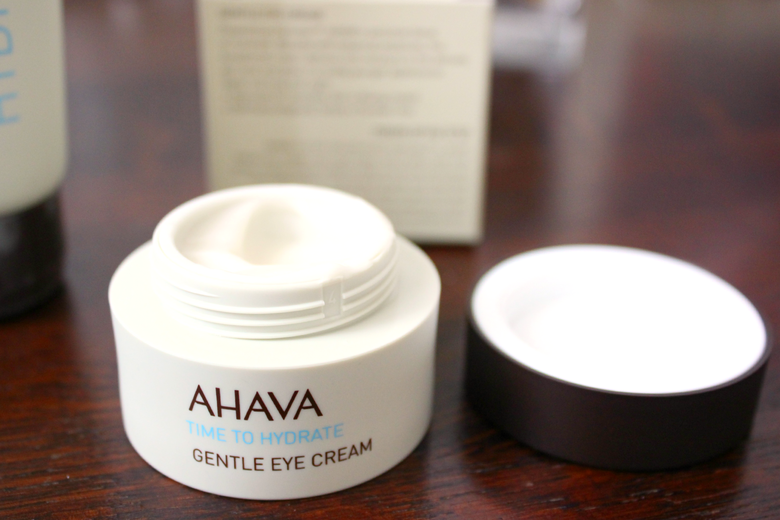 So I was totally up for trying Ahava Time to Hydrate Gentle Eye Cream*. Eyes are such a delicate area that they do need a treatment especially for them. I noticed recently that my eyes are getting quite dry, in my brow arch and the outer corners of my eyes. I like to use the gentle eye cream before bed. Gently dabbing on the eyelids and under eyes. This gives a nice cool feeling and soothes the bits of skin that are dry. 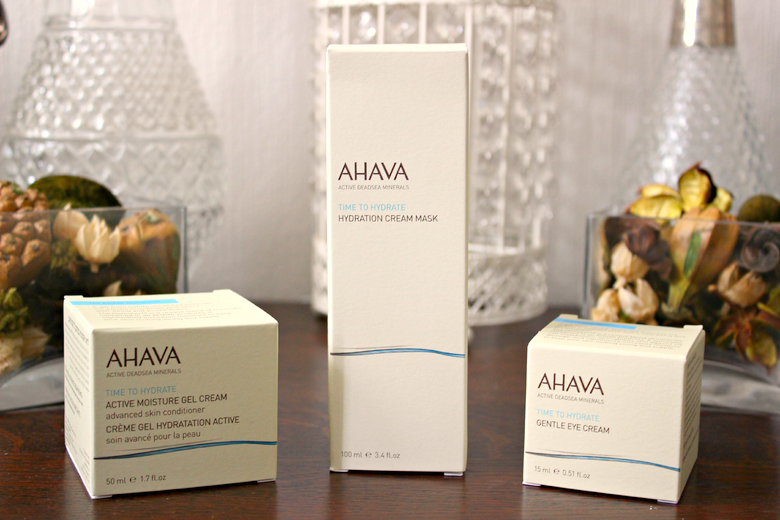 Overall I really love these three products from Ahava Skincare. They provide soothing relief from dry irritating skin. 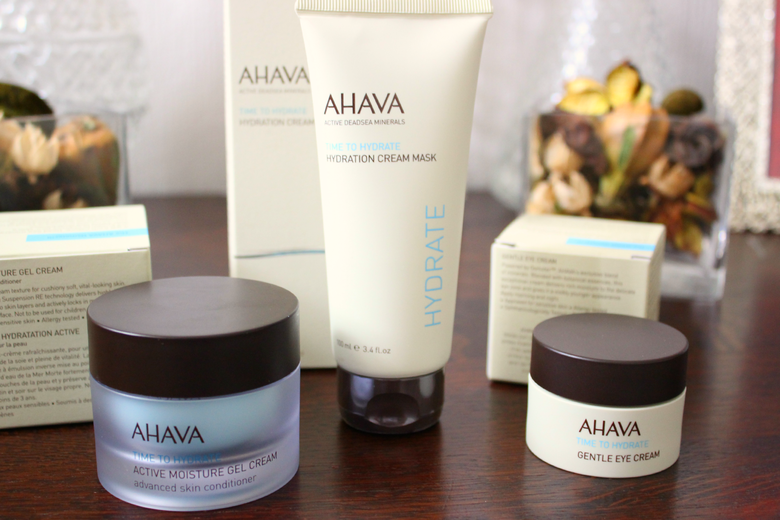 If your pain skin concern is lack of hydration, then Ahavas Time to Hydrate range is for you! Where can I get Ahava Skincare?  Ahava skincare can be purchased on eBay via the Ahava store. They stock a wide range of skincare solutions for every skin concern plus bath, massage, hand and nail products. You can also save up to 50% on every purchase, bargain! There’s also a range of start skincare kits, which these three products are included in. The Ahava Skincare Time to Hydrate Kit* which retails at £86.00 and also includes free shipping! Have you tried Ahava Skincare before? Are Dead Sea Mineral skincare products something that appeal to you? 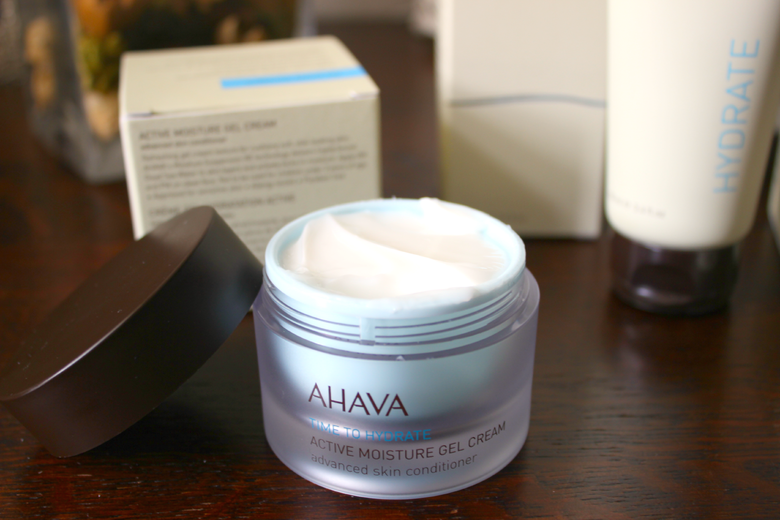 *Ahava Skincare Time to Hydrate range was gifted in exchange for this review. However all words are my own.